Celebrate spring with the April Science Calendar! 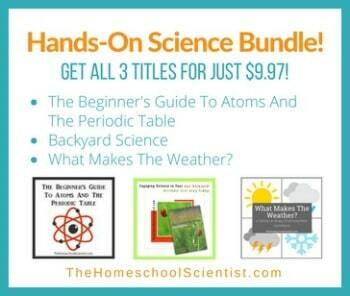 It’s a free download to help you add a little science to everyday. Spring is finally here! The temperatures are slowly rising. The spring flowers are peaking through the soil. The frogs are chirping. Baseball is back! The long winter is over for most of the U.S.
As my loyal readers know, each month I publish a FREE science calendar with daily links to fun science projects or interesting information meant to get your kids thinking. Some use the calendar as a morning activity for their students. Other use it as a treat for students when they finish their work. No matter how you use the science calendar, I hope you enjoy it and learn from it. Let me know what your favorites from this month are! All you have to do to get your April Science Calendar is click HERE. I’m just discovering this. What a great idea! My son was interested in the safety pin so we clicked the link–who knew! So glad you found our calendars! We post a new one each month. The safety pin is a great example of creativity and engineering to serve a practical purpose. So many times we think of engineering as building buildings and machines. It is important to show kids that engineering can be on a small, everyday scale.